GUTERMANN has signed the supply contract to supply a large system of correlating loggers (1,200 ZONESCAN 820 loggers) for the largest known drive-by leakage monitoring system in Latin America. 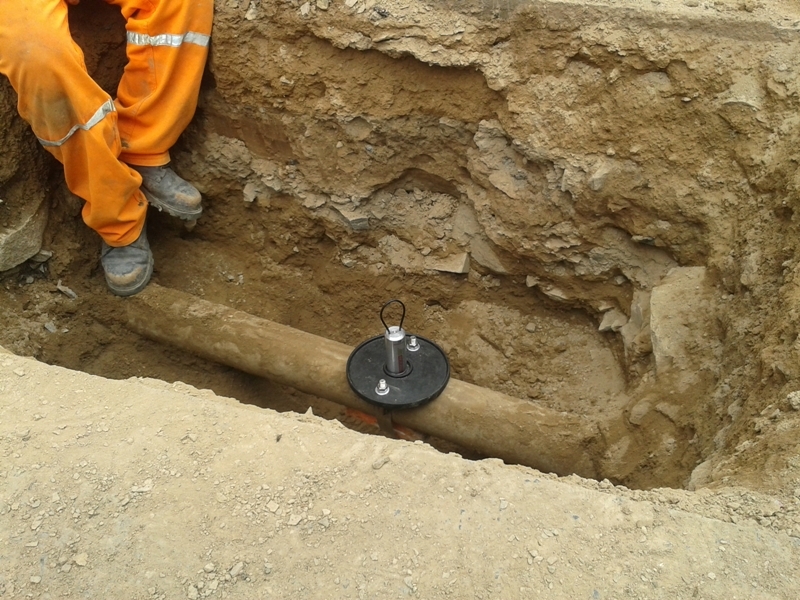 The tests and investigations have take three years to complete, and the final user and their technology consultants have chosen ZONESCAN among numerouos other products as preferred product to monitor a newly built system of mostly plastic pipes. The loggers will be supplied with extended antennas to guarantee optimal radio connectivity with the vehicles that are going to be used to collect the data driving by the chambers, using a communications link supplied by GUTERMANN. 1. 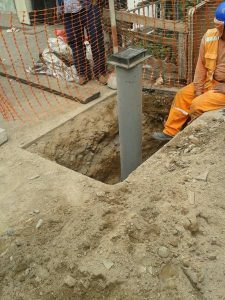 Extended Antennas: The customer is building special, purpose-built narrow access tubes so that the loggers can be placed directly onto the pipe while the antennas will reach up close to the lid of the chamber using "extended antennas"
2. Plastic pipes: Most of the pipe network consists of plastic pipes (HDPE, PVC) and asbestos cement (AC); exhaustive testing performed by GUTERMANN on this pipe network have shown and confirmed that correlation between the loggers will be possible at the distances that the chambers are being built. 3. Cloud-solution: Although this project is not strictly speaking a fixed network (cf. ZONESCAN ALPHA, with automatic transmission of all data), SEDAPAL will still have the advantages of hosted data and cloud computing. Thanks to GUTERMANN's new ZONESCAN SMART Android-based software for tablets and smart phones) all the data can be collected by drive-by and then easily uploaded to GUTERMANN's servers into ZONESCAN NET to which the operator will have his secure online access).